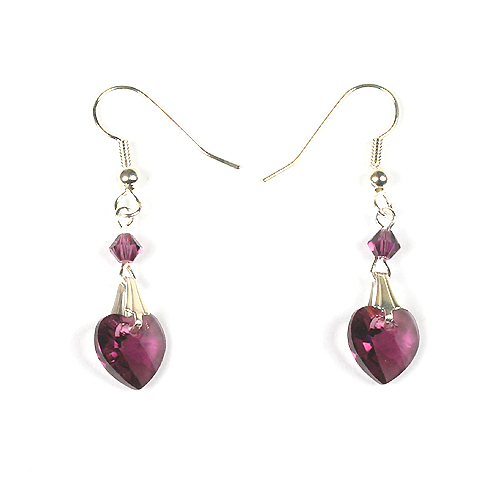 Swarovski heart pendants and beads are perfect for making Valentine’s Day jewellery. 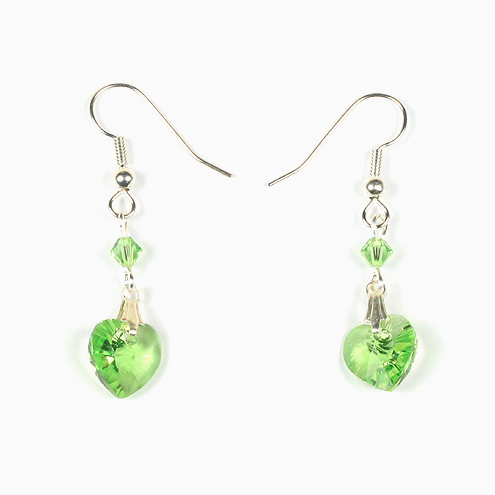 We’ve picked our favourite shapes, including the very popular xilion heart pendants, together with some easy ideas for making Swarovski heart earrings, bracelets and pendant necklaces. 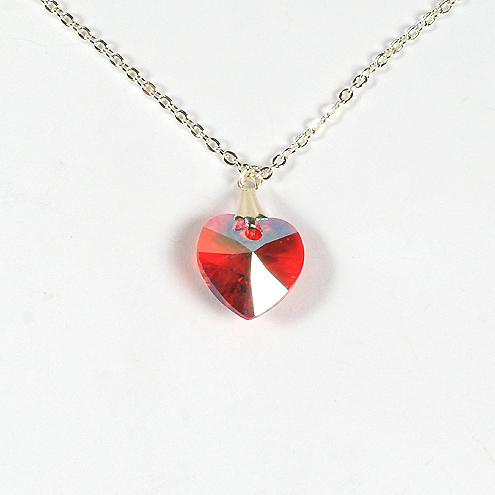 the xilion hearts are by far the most popular Swarovski heart pendants as they’re so versatile. 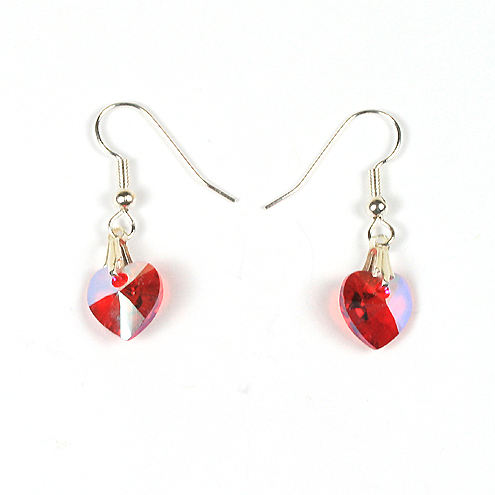 They come in a huge range of colours including the lovely new shimmer shades. 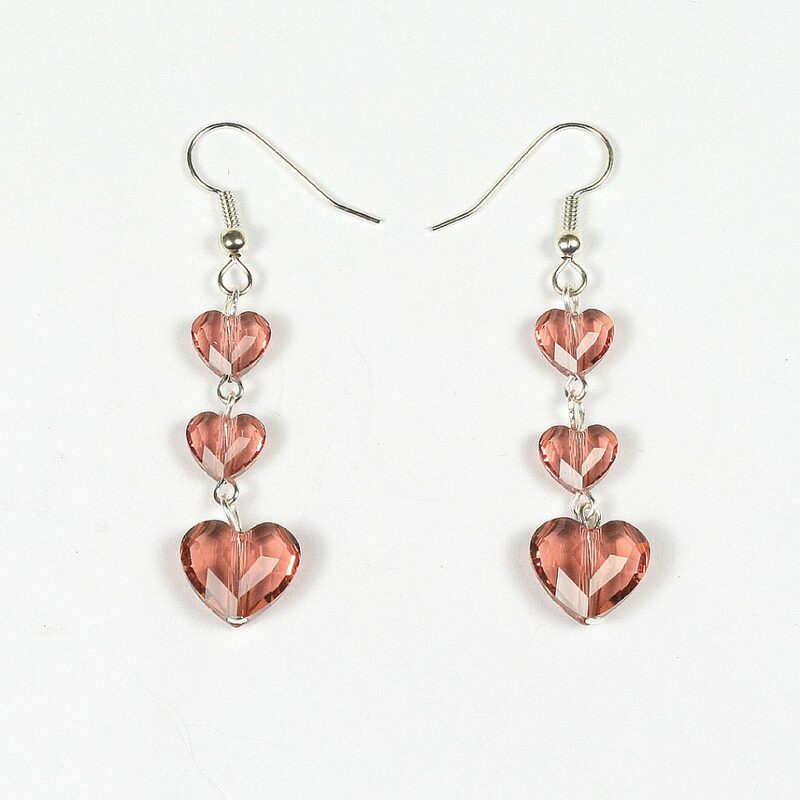 The 10mm hearts make very pretty little earrings. 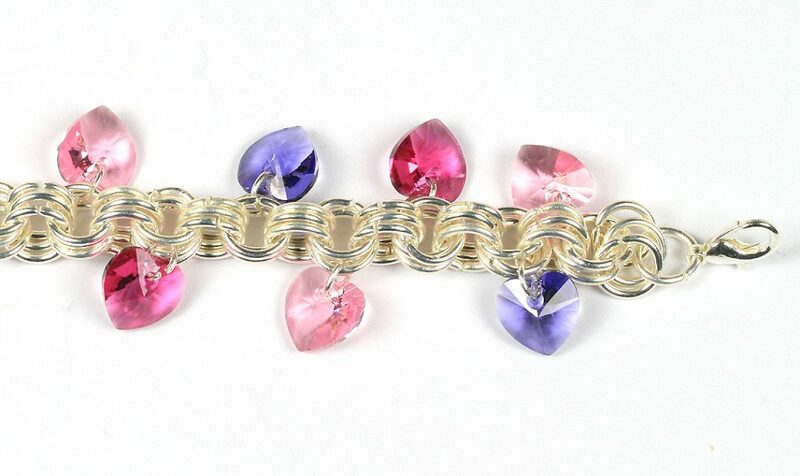 We used small bails for a decorative touch. 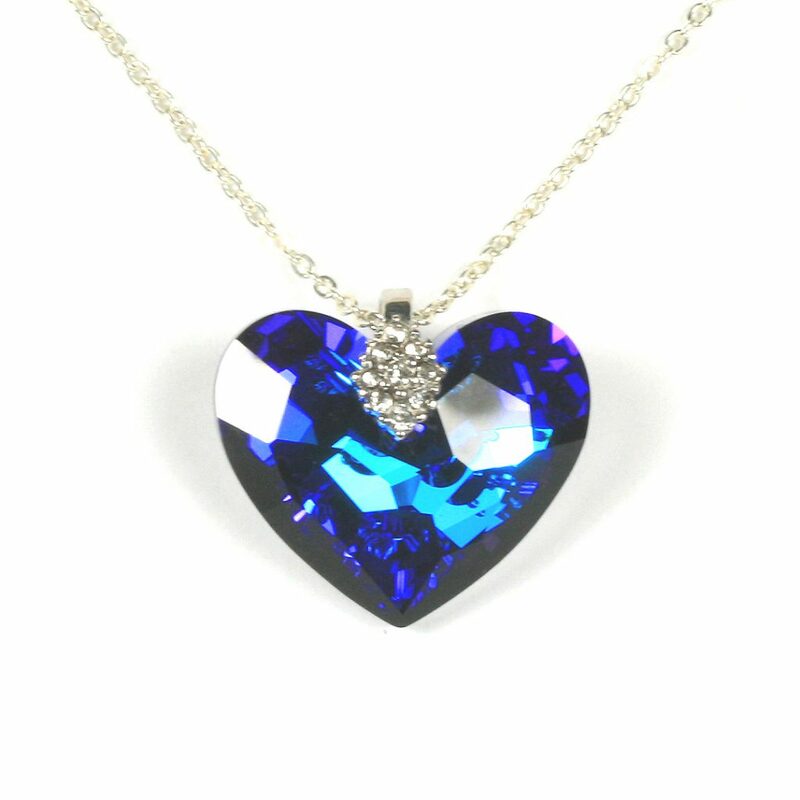 An 18mm pendant is the perfect size to make a delicate necklace, shown here in light siam shimmer. 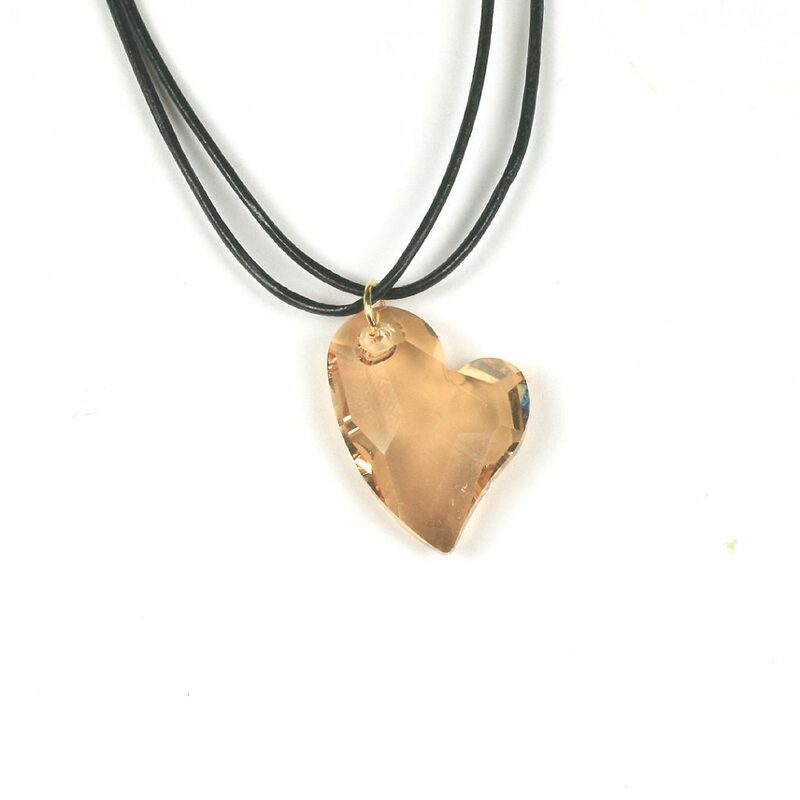 Fine 1nn leather cord is a good way of adding a boho touch to your jewellery. 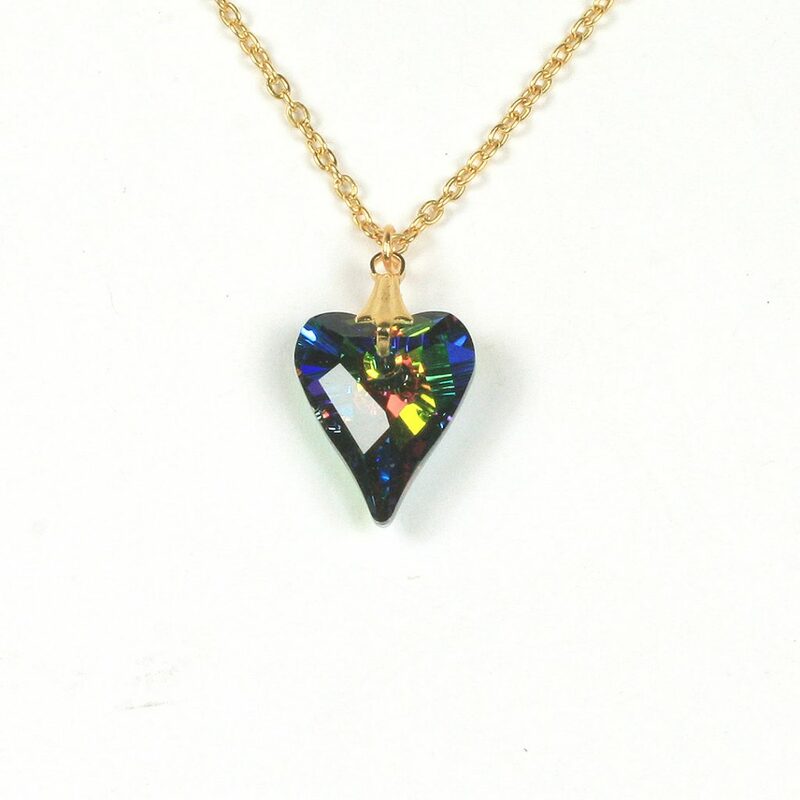 We used a 27mm Devoted 2 U heart pendant in crystal golden shadow. 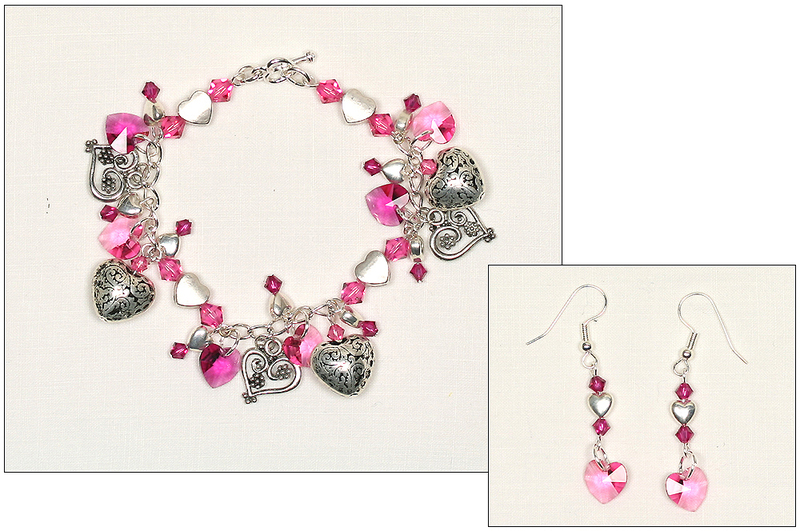 And last but not least, don’t forget these cute love beads. 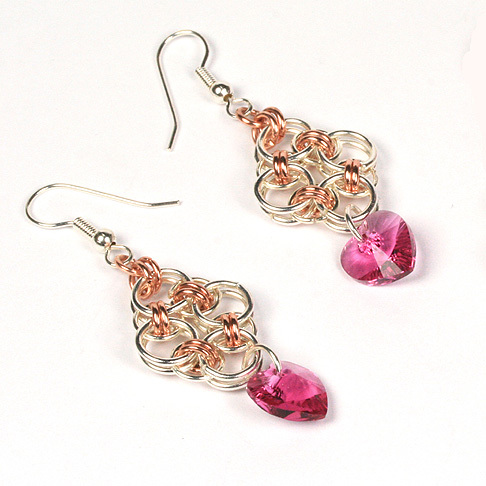 They’re available in 8 and 6mm sizes and, being beads, are very easy to link together. 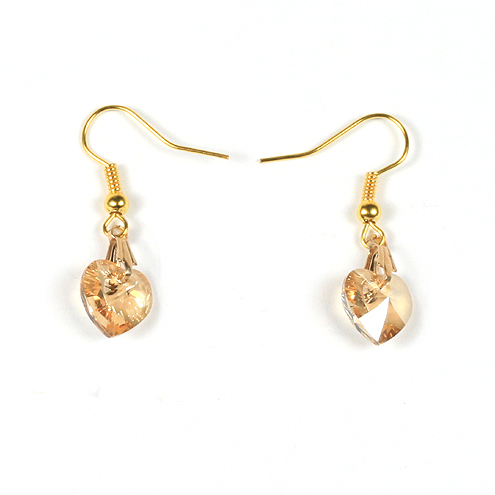 These Swarovski Love Beads Earrings are in blush rose.